Robs Webstek: Happy Christmas ! Official U.S. Navy Photograph, from the collections of the Naval Historical Center, 1961. 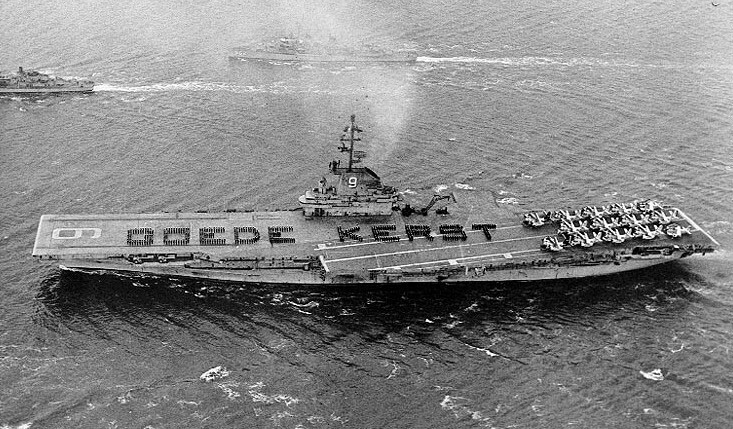 "As the anti-submarine warfare carrier USS Essex (CVS-9) steamed toward a nine-day visit to Rotterdam, Holland, for the Christmas Holidays, crewmen formed the traditional Dutch equivalent of America's 'Merry Christmas' on the flight deck." Merry Christmas, Rob! May Dutch-American friendship continue throughout our lives!